Disney is opening a new 'DisneyStyle' store in the West Side at Disney Springs later this Spring. Spirit Jerseys with nods to Disney Princesses to playful headwear with a Disney twist. 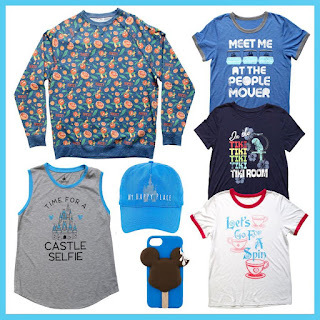 You'll be able to create stylish outfits perfect for visiting Disney Parks by mixing and matching fun shirts with accessories such as handbags, headbands, hats, socks, and more. 'DisneyStyle' will be located in the former Harley Davidson store just across from Starbucks. Harley Davidson moved to a new location in the Town Center. The new auction scene is now playing in Pirates of the Caribbean, which sees the famous redhead take on a new role in the iconic attractions, joining the ranks of the pirates. The pirate auctioneer now oversees a sale of the townspeople’s most prized possessions and goods. In this scene, the familiar redhead figure has switched sides to become a pirate named Redd, who’s just pillaged the town’s rum supply and has something to say about it. Having trouble viewing the video? Click here to view on YouTube. 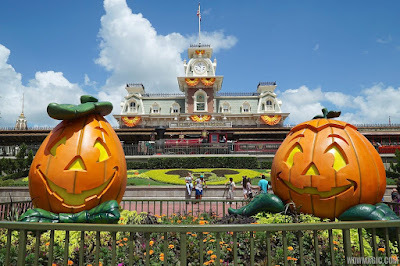 Tickets are now on sale for the 2018 Mickey's Not-So-Scary Halloween Party. August 17, 24, 31; September 7, 14, 21, 25 - Advance Sale Adult $79, Child $74. Same Day Sale Adult $89, Child $84. August 28; September 3, 9, 11, 16, 18, 23 - Advance Sale Adult $75, Child $70. Same Day Sale Adult $85, Child $80. September 28, 30; October 2, 4 - Advance Sale Adult $89, Child $84. Same Day Sale Adult $99, Child $94. October 5, 12, 19, 26, 28, 30 - Advance Sale Adult $119, Child $114. Same Day Adult $119, Child $114. October 8, 9, 11, 14, 16, 18, 21, 23, 25 - Advance Sale Adult $99, Child $94. Same Day Adult $109, Child $104. October 31 - Adult $125, Child $120. Specially priced tickets must be purchased in advance and are available to Passholders with Premier Passport, Platinum Plus Pass, Platinum Pass, Gold Pass, Silver Pass, Weekday Select or Epcot After 4 Annual Pass. Passholders may purchase discounted tickets for themselves and up to three guests. Disney Vacation Club Members may purchase discounted tickets for themselves and up to seven guests. August 17, 24, 31; Sept. 7, 14, 21, 25 - Adult $74, Child $69. August 28; September 3, 9, 11, 16, 18, 23 - Adult $70, Child $65. September 28, 30; October 2, 4 - Adult $84, Child $79. October 8, 9, 11, 14, 16, 21, 23 - Adult $94, Child $89. 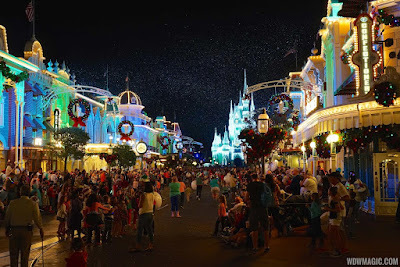 Tickets are also now on sale for the 2018 Mickey's Very Merry Christmas Party. Here is a breakdown of pricing for the party, with reservations only available via phone at this time on 407-939-1872. Pricing excludes tax. November 8, 9, 16, 25, 27, 29; December 2, 4, 6, 9, 11, 13, 16 - Advance Sale Adult $99, Child $94. Same Day Sale Adult $109, Child $104. November 12, 13, 15 - Advance Sale Adult $95, Child $90. Same Day Sale Adult $105, Child $100. November 30; Dec. 7, 14 - Advance Sale Adult $109, Child $104. Same Say Sale Adult $119, Child $114. December 18, 20 - Advance Sale Adult $115, Child $110. Same Day Adult $125, Child $120. December 21 - Adult $125, Child $120. November 8, 9, 16, 25, 27, 29; December 2, 4, 6, 11, 13 - Advance Sale Adult $94, Child $89. November 12, 13, 15 - Advance Sale Adult $89, Child $84. 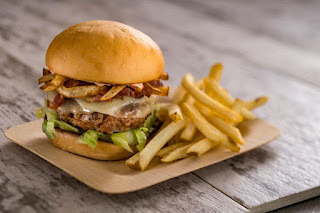 Spyglass Grill is the first of the new additions at Disney's Caribbean Beach Resort to open, offering a walk-up counter serving the south side of the resort. Serving breakfast, lunch and dinner, Spyglass Grill is located near to the pool in Trinidad South, operating from 7am to 10pm daily. 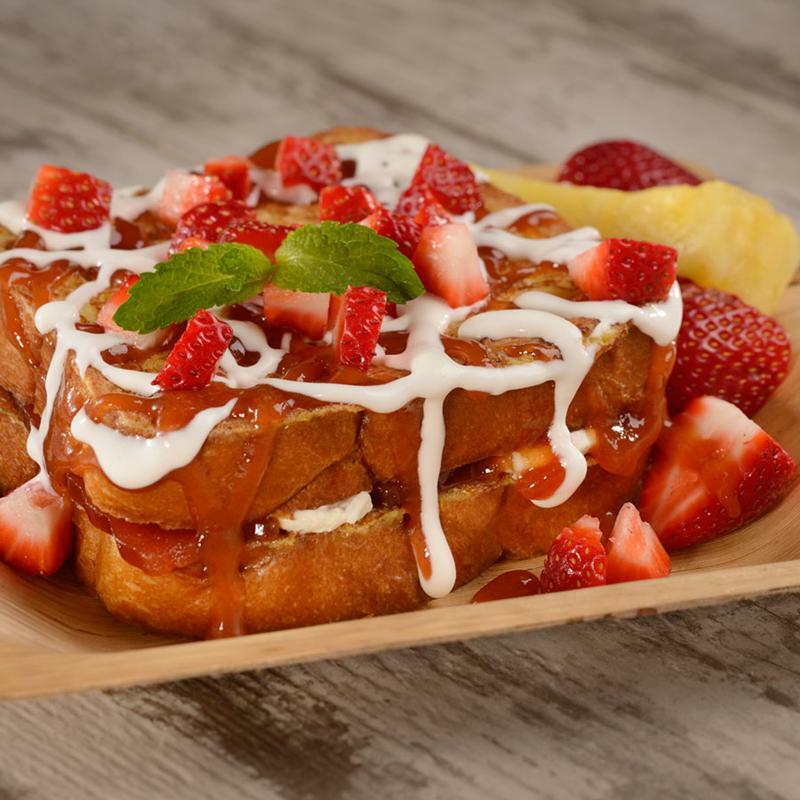 Disney's Design-a-Tee in the Marketplace at Disney Springs is set to close later this month. The custom t-shirt store that opened in late 2008, presented by Hanes, allows guests to create custom shirts from over 400 images and apply their own text. Hanes became a sponsor at Walt Disney World back in 2007, and we understand that the sponsorship agreement has now come to end, resulting in the closure of the store. The apparel company also sponsors Rock 'n' Roller Coaster at Disney's Hollywood Studios. German pop-rock band Durch & Durch are coming soon to Epcot's Germany pavilion. The new act is set to appear Fridays through Tuesdays from March 30, 2018. Groovin' Alps, the current act, will have its last performance on March 27. Here is a look at Durch & Durch performing live at Domforum Köln. Having trouble watching the video? Click here to view on YouTube. Disney has confirmed that the current meet and greet characters from Pixar Place will relocate to Toy Story Land when it opens to guests on June 30, 2018. Buzz Lightyear, Sheriff Woody and Jessie the Yodeling Cowgirl from Disney•Pixar’s “Toy Story” films will be interacting with guests, and we also understand that the Green Army men will also be making appearances. Disney's Fort Wilderness Resort is once again offering its "Return to Sleepy Hollow" experience, which includes a group viewing of the 1949 Disney animated classic film "The Legend of Sleepy Hollow" inside the resort's historic Tri-Circle-D Ranch stables. During the event, you'll be able to see galloping ghosts and experience an up close and personal encounter with the Headless Horseman. New for this year is a a dessert party at 9pm after the movie if you're viewing the 8pm show or prior to the movie if you’re viewing the later show. "Return to Sleepy Hollow" will be available September 28-30, October 3-7, October 10-14, 17-21, 24-31, 2018 at 8 and 10pm.